NEET Exam Centres 2019 is the list of the venue where the examination will be held. The exam date for NEET 2019 has been announced, it will be conducted on 5 May 2019 in 2255 NEET 2019 exam centres across 136 cities. As per the latest notification, CBSE has updated the address of 10 NEET entrance exam centres a day before the examination. The list of updated address of NEET exam centres 2019 has been provided on this page. Candidates were required to provide three preferences of NEET 2019 exam centres while filling the application form. Of the preferred centres, CBSE has finalised a nearest NEET exam centre for a candidate. It is mandatory for aspirants to report at the exam centre two hours before the exam with admit card and passport size photograph. Go through the article NEET exam centres 2019 to check the venue, updated address and how to select the exam centres below. Latest Update - CBSE has released the notification regarding the updated address of NEET exam centres. The list of updated address in NEET exam centres is provided below. 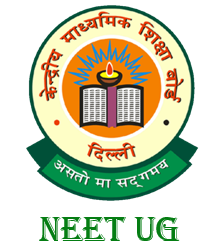 NEET has released its complete prospectus and the candidates who have enrolled to appear in the NEET Exam scheduled to be conducted on 5 May 2019 are suggested to go through the list of centres given on this page along with the codes. There are total 151 test centres in India. The candidates while filling up the application form will have to make the choice of centres. English and Hindi Question Papers will be available in all examination centre cities. However, the candidates opting for vernacular languages will be allotted centre only in respective States of particular vernacular language. The exam centres chosen by the candidates for vernacular languages are also given towards the end of this page. NEET 2019 will be conducted in 10 languages viz are; Hindi, English, Bengali, Assamese, Tamil, Telegu, Kannada, Oriya and Gujarati. So, the candidates who wish to give their NEET 2019 in any of the Vernacular languages they must check the list of the Exam Centre and the choice available for them which is given below. NEET 2019 Exam Centre list is spread all over India only as the list given above. There is no Exam Centre for NEET 2019 outside India. The Foreign Nationals, PIO, OCI who have applied for NEET 2019 have to appear for their NEET exam by choosing any one of the NEET exam Centre as given above according to their choice. How to Select NEET Exam Centres 2019? Candidates should choose the three NEET exam centres where s/he can go easily on the day of exam. The exam centres should be prioritised on the basis of convenience. The closest NEET Exam centre should be given the highest priority while filling up the NEET 2019 Application Form. Candidates should be very careful while filling up the NEET Exam Centres as once selected, it can't be changed. The selection of NEET Exam centres shall be done as early as possible to prevent any chances of seats getting full at the selected NEET Exam Centres. It is advisable for the candidates to select the centres in their state of residence or in the neighbouring city only for their own convenience. The candidates who have passed or appearing in Class 12 exams from the states of Jammu and Kashmir, Assam and Meghalaya and do not have Aadhar Card should opt the city of examination in these states only. The candidates should notice that in no circumstances, the choice of centres opted by the candidates will be changed by Board. A dress code has been given which is to be followed by the candidates giving NEET 2019 exam. The dress code for NEET 2019 applies to both girls and boys, anyone who doesn't follow it won't be allowed to enter the NEET exam centres. Candidates giving the NEET 2019 exam must take care of NEET 2019 dress code while going to their NEET Exam Centres. Candidates won't be allowed to enter their NEET exam centres if the NEET 2019 dress code is not followed properly. Along with the dress code, students are also advised to not take with them any object that is prohibited as per the NEET 2019 exam guidelines. Question 1: What shall I carry to the NEET Exam Centre? Question 2: Can I take my mobile phone or any other electronic device to the NEET Exam centres? No, you cannot take your mobile phone or any other electronic device as there are no arrangements for keeping it safe and you may risk losing it. Question 3: What is the entry time in the examination hall? Question 4: Can I change the option of language once the form is submitted? No, the option once exercised cannot be changed after submission. Candidates are advised to be extra careful while selecting the language. Question 5: Can CBSE fix the examination centre in any city other than the three options exercised by the candidates? Yes, CBSE may change the NEET exam centres of a candidate to another city if the seats in the selected NEET exam centre is full. In Case of any other details related to NEET Exam Centre 2019, you can write us in the comment section below.